They call themselves the Final Five in honor of their retiring coach Martha Karolyi, but they may as well call themselves the First Ladies of Social. Simone Biles, Aly Raisman, Gabby Douglas, Madison Kocian and Laurie Hernandez—the U.S. women's gymnastics team that won the team gold and took home several individual medals—dominated social media in the final week of the Olympics, occupying half of the top 10 spots in our engagement ratings. For the past few weeks, analytics platform ListenFirst has provided Adweek with exclusive analysis of which members of Team USA got the most traction on social media. The rankings are informed by each athlete's digital engagement rating, or DER. The rating—based on data from Facebook, Google+, Instagram, Tumblr, Twitter, Wikipedia and YouTube—is a raw aggregate of daily engagements based on owned, earned and organic behavior by consumers. 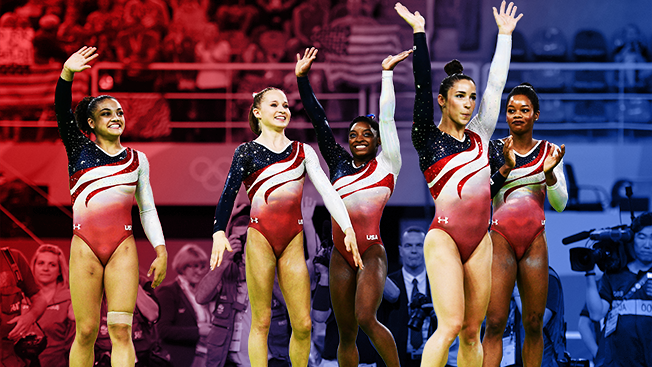 Last week, Raisman took home the No. 1 spot. Here are the top 10 from ListenFirst for the week of Aug. 15-21. Thank u so much for all the love! My heart is full! @Lesdoggg I love you guys! Ahhh omg we all just met Zac Efron!